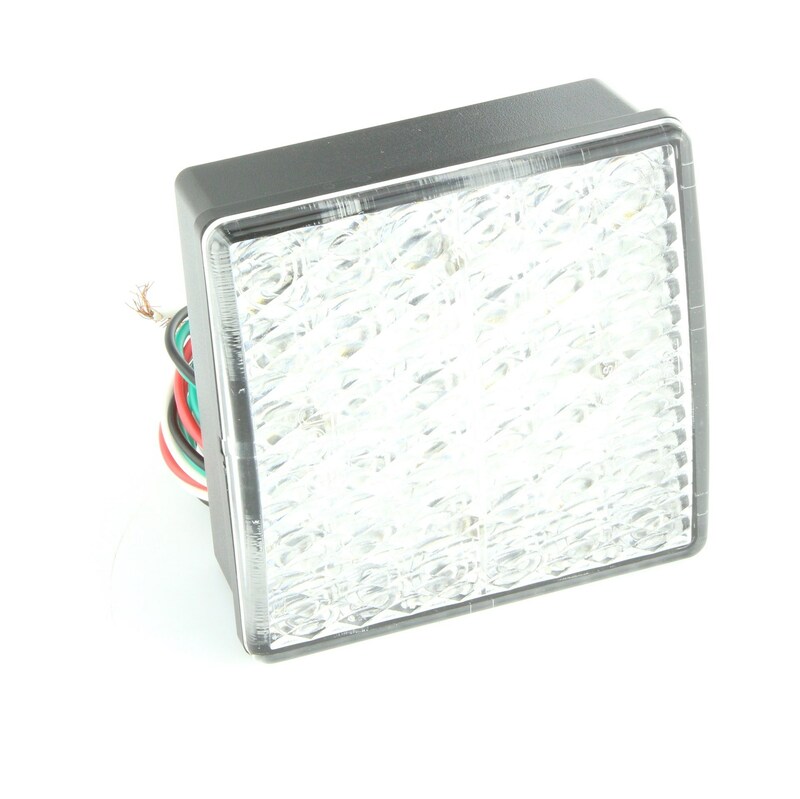 These clear lens 3 function rear lights are 80mm square and mount through an 76mm square hole. Either bond them in or a simple U bracket will hold them in place. Size 94mm x 94mm x 30mm.